A beautiful location in the Woodgate Community of Sanatoga on a cul-de-sac lane with a large lot and fenced rear yard. This home is move in ready, has been meticulously maintained and updated throughout. The recent upgrades include a new HVAC system, new roof, new gutters, newer windows, newer water heater, newer oversized shed, custom rear patio, wood stove insert and new master and hall bathrooms. The large sun-lit living room with an open floor plan that connects to the spacious kitchen equipped with recessed lighting, custom tile backsplash, stainless steel appliances, abundant cabinet space and an island offering additional counter space for breakfast or entertaining! The kitchen opens up to the dining room with new tile floors and crown moldings. The master bedroom offers the new updated full master bath with tile flooring, granite sink, and new fixtures. The hall bath is also recently and impressively updated. Completing the upper level are two bedrooms with ceiling fans. The lower level features a 25x15 family room complete with a power room, stone wood burning fireplace, fourth bedroom/office or den! The lower level is completed by a huge laundry room with wash basin, wet bar, powder room and sliders that open to a custom stone patio. You will be blown away by the awesome rear yard with large above ground pool with spacious deck. 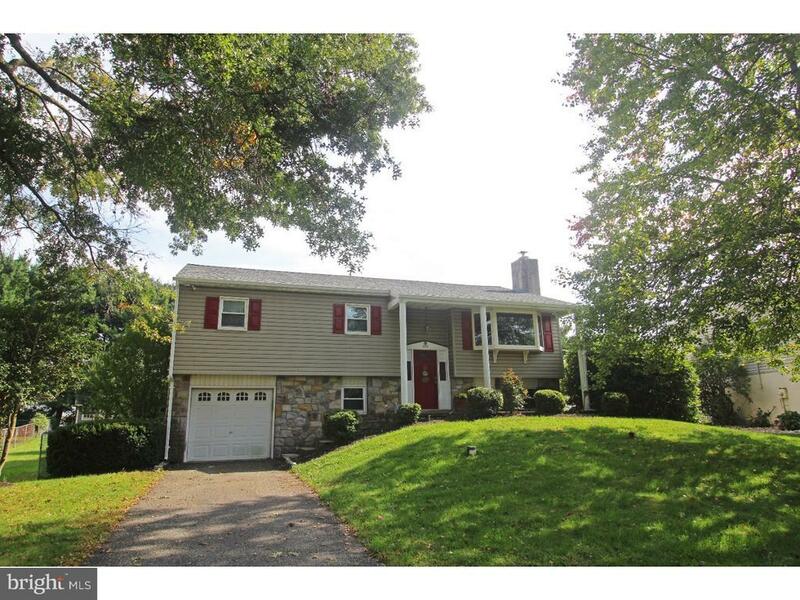 This home is minutes away from Ridge Pike, Rt 422 bypass and the Philadelphia Outlets.